It’s time to evaluate how the six major movie studios did at the 2018 box office. I’ll be primarily focusing on each of their Top 5 moneymaking releases (Source: Box Office Mojo). It’s another record year for the studio, with “Black Panther” ($700M), “Avengers: Infinity War” ($679M) and “Incredibles 2” ($609M). Even fourth place “Ant-Man and the Wasp” topped the original by $36 million. So why not an “A” grade? “Solo: A Star Wars Story”, in 5th, significantly underperformed with just $214 million. 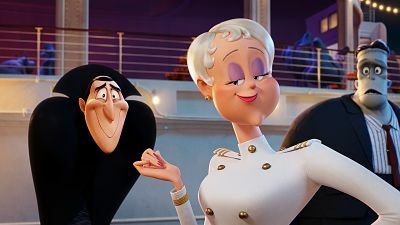 Plus heavyweights “Ralph Breaks the Internet” and “Mary Poppins Returns” weren’t able to crack the Top 5. “Deadpool 2” leads 2018, but $45 million behind the original is nothing to celebrate. (Plus that whole “Once Upon a Deadpool” thing…?) “Bohemian Rhapsody”’s monstrous near-$200 million gross is impressive. But in their Top 5 – three clunkers: “Maze Runner: The Death Cure” ($58M), “The Predator” ($51M) and “Red Sparrow” ($47M). “Mission: Impossible – Fallout” headlines Paramount’s 2018 with a series high $220 million. And “A Quiet Place” blew away expectations with $188 million. “Bumblebee” is in 3rd, but it lacks the box office punch of all the other “Transformers” movies. “Book Club” brought-in enough of the older crowd ($69M). And I’m glad to see “Instant Family” in the Top 5, but it didn’t make nearly as much as director Sean Anders’ two “Daddy’s Home” films for the studio. You can’t get much better than 5 movies that grossed more than $100 million. Super-charged “Venom” leads the pack with more than $200M, followed by “Hotel Transylvania 3”. “Summer Vacation” installment nearly matched the $170M total of 2015’s “HT2”. Sony Animation’s Golden Globe winning “Spider-Man: Into the Spider-Verse” is starting to pick up steam. And “Peter Rabbit” ($115M) and “The Equalizer 2” ($102M) both beat expectations. 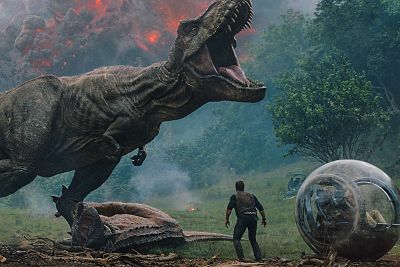 “Jurassic World: Fallen Kingdom”’s monster $417 million is still more than $230M behind the first “JW” just three years earlier. Meantime, “The Grinch” has topped the 2000 live-action Jim Carrey version (not adjusted for inflation). And “Halloween” set an opening weekend record for a film starring a woman over 55 (Jamie Lee Curtis). “Mamma Mia! Here We Go Again” seems like the biggest disappointment for the studio – $120M is nearly $25M less than what the first “MM” did 10 years ago. Still, it beat the third and (thankfully) final chapter of the “Fifty Shades” trilogy – though “Freed” did manage more than $100 million. “Aquaman” is a superhero smash and easily the studio’s top grossing pic of ’18. Best Picture Oscar contender “A Star Is Born” has taken-in more than $200 million. And fellow potential nominee “Crazy Rich Asians” is right behind with a stellar $174 million. “Fantastic Beasts” is the big disappointment here: in 4th, but $75 million less than the first installment doesn’t bode well for the future of the franchise. And in 5th, a critically panned shark attack “thriller” that still captured summer popcorn moviegoing audiences: “The Meg”, with $143 million.